This low profile Revolution crawl space dehumidifier by Dri-Eaz, is specially designed for easy installation anywhere space may be a concern. 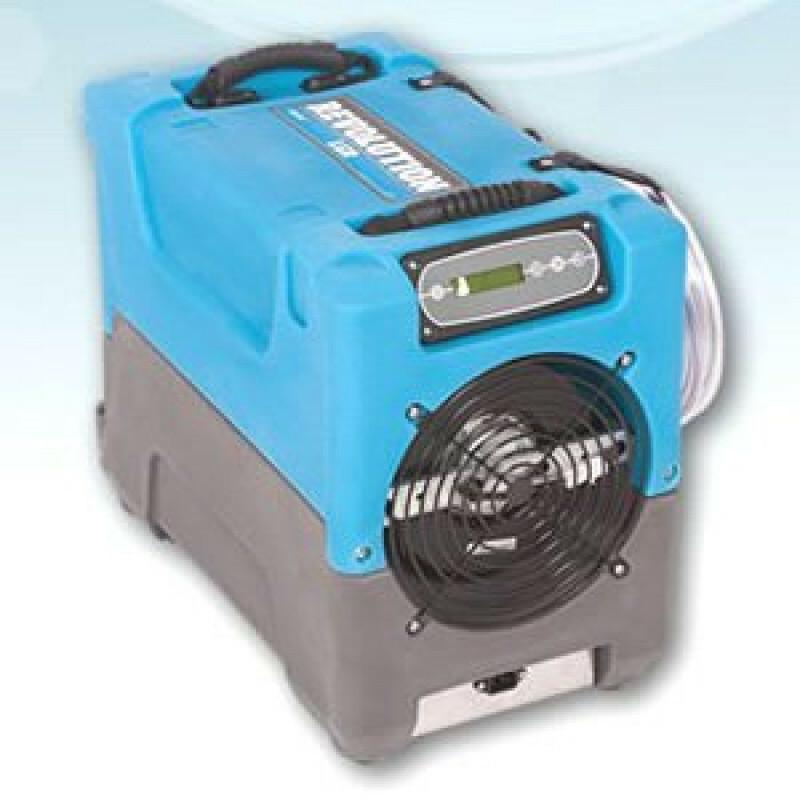 Precision electronic controls, rugged construction, and the convenience of a built-in condensation pump make the Revolution the ideal application wherever top level dehumidification performance is required. This unit reduces humidity in enclosed structural environments like crawl spaces or attics by removing water vapor from the air. With proper use, the Dri-Eaz Revolution can help to dry out damp structural materials, insulation, and other content to maintain a healthy level of humidity. This unit along with many others can be found in our commercial dehumidifiers category. The Revolution pulls approximately 6.2 amps, which makes it a great dehumidifier to run continuously. The built-in digital humidistat control makes sure to turn on the machine when needed, and shut it off when humidity returns to acceptable levels. Great for complete moisture control in basements and crawl spaces. You can easily store this model in the corner of a room or van, in a storage closet, or on a shelving unit depending on your specific drying needs. With the compact body, you can now transport 2 Dri-Eaz Revolution units just as easily as 1 full sized dehumidifer. Dri-Eaz has redefined the restoration industry! 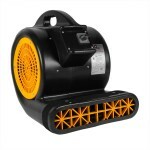 The shortest vertical clearance dehumidifier on the market. Fits easily in a closet, or on a shelf for convenient storage. Easily adaptable to different drying environments due to it's customizable control panel. Control panel displays inlet and outlet temp and RH (relative humidity) in real time. Removes up to 16.75 gallons of waste water per day, under optimum conditions. ETL listed to CSA standards. This is a review for the Dri-Eaz® Revolution™ LGR Dehumidifier.